A Matter of Memories: :MEMORYWORKS EXPRESS: July 2010 Kit Sneak Peak - "Bon Voyage"
:MEMORYWORKS EXPRESS: July 2010 Kit Sneak Peak - "Bon Voyage"
Watch for futher details on this kit coming soon! In the meantime, enjoy the details of a few past MemoryWorks Express Kits! A MemoryWorks Express Kit subscription is ONLY $29.95 (plus $6.50 S&H) per month! 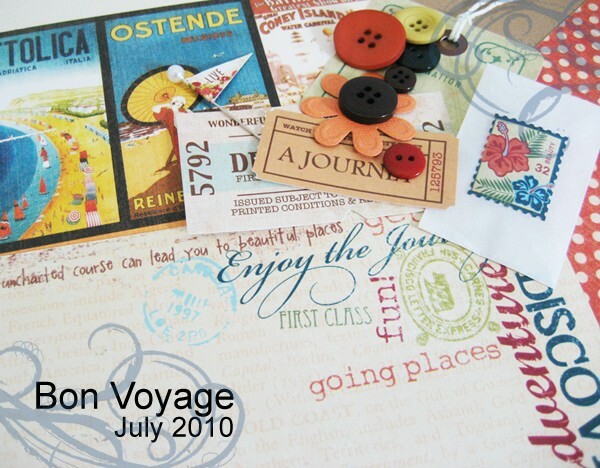 They are chock full of the latest and greatest in the scrapbooking industry, the items are always timely in terms of the current season or holiday, and the price can't be beat! If you are interested in subscribing or would simply like more information, please don't hesitate to contact me!